On yet another grey winter day, we decided to make the most of it and visit at long last the RA for the much-anticipated Charles I: King and Collector exhibition. And as usual the RA did not disappoint. 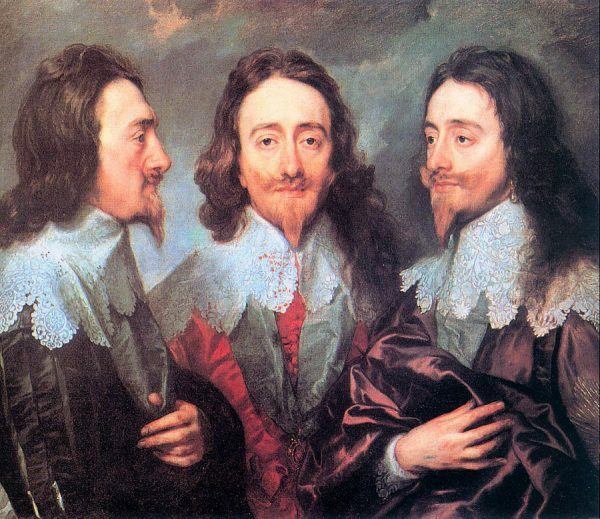 King Charles I accumulated a sheer extraordinary collection of art in his lifetime, joining “at the time classics” such as Titian, Mantegna, Holbein and Dürer under one roof. He was however also a great supporter of contemporary artists, in particular Van Dyke and Rubens, and commissioned many pieces of himself, the royal family and the court. Charles was so taken by Van Dyke’s work, that he eventually appointed him to be the Principal Painter in Ordinary in 1632, bringing Van Dyke’s contribution, to the fast expanding art collection, to forty portraits of King Charles himself, as well as about thirty of the Queen. The sheer scale and richness of the collection is spellbinding, even though it only allowed for a small glimpse into the expanse of the original collection, with is estimated to have contained 1740 paintings. Nonetheless, have we not only been able to marvel over the works of some of the greatest artists of the time, but have also been witness to the reunion of over 100 pieces of art, sculptures, paintings, exquisite miniatures and extraordinary tapestries, since their sale after the Kings death in 1649.